Hung-Wen (Ben) Liu doesn’t wear a coat of armor to his medicinal chemistry laboratory, but his efforts are every bit as noble as those of the fictional knights of King Arthur’s court. Like the medieval guardians of Camelot, Dr. Liu is engaged in a battle for the common good, and his work could some day spell life or death for thousands. One of the newest members of the UT pharmacy faculty, Dr. Liu is leading a battle against an old enemy that was once thought to be almost defeated – bacteria. Since the discovery of penicillin in the 1920s, physicians have used it and other antibiotics to effectively treat bacterial infections from pink eye to pneumonia. But just four years after drug companies launched mass-production of penicillin in 1943, microbes began surfacing that could resist it. In today’s society, Dr. Liu explained, persons suffering from infection, whether it is bacterial or viral in nature, often feel they should be treated with antibiotics, even though antibiotics have no effect against viral infections such as the common cold. This overuse and misuse of antibiotics has led to new strains of resistant bacteria, such as some forms of staphylococcus and tuberculosis. This situation may leave the general population unprotected against strong bacterial infections that are immune to current treatments, posing a serious threat to human health. Antibiotic resistance spreads quickly. Between 1979 and 1987, for example, only 0.02 percent of pneumococcus strains were penicillin-resistant. A report in The Journal of the American Medical Association in June 1994 indicated that 6.6 percent of pneumococcus strains were antibiotic resistant. In 1992, 13,300 hospital patients died of bacterial infections against which the current regimen of antibiotics proved ineffective. The issue is so crucial to public health that officials at the World Health Organization and the U.S. Centers for Disease Control and Prevention have recently drawn focus to the problems of drug-resistant diseases. Representatives from both agencies have called upon scientists and funding organizations to take seriously the threat that the world could soon be plunged back into a “pre-antibiotic era” as microorganisms become increasingly immune to our current disease-fighting arsenal of drugs. Dr. Liu has emerged as one of the country’s leading scientists who is taking the threat seriously and has made significant strides in the fight. His research focuses on the biosynthesis of unusual sugars, many of which are structural components of antibiotics. By themselves, the unusual sugars typically have no biological activity; however, when they become part of complex structures, such as macrolide (e.g., erythromycin) and aminoglycoside (e.g., streptomycin) antibiotics, these sugars have been shown to play crucial roles in conferring optimal biological activity of these clinical important drugs. For example, macrolide antibiotics launch their attack by binding to the ribosomal RNA of bacteria. When the antibiotic is bound, the bacteria cannot make the protein it needs to survive. However, this binding process will not take place if the sugar components are missing from the macrolide structures. Resistance occurs, Dr. Liu said, when evolutionary survival processes lead the bacteria to modify its ribosomal RNA in such a manner that the antibiotic can no longer recognize or bond to the target sites, thus prohibiting its ability to kill bacteria. Another commonly found resistance is created because bacteria have evolved an effective mechanism to alter or destroy the structure of antibiotics, thus disarming these antimicrobial agents. 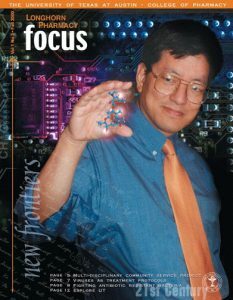 In response to the declining effectiveness of antibiotics, Dr. Liu said many researchers have been working on developing completely novel synthetic antibiotic compounds, searching, he said, for new “warheads” to advance the war against infection and disease. Dr. Liu’s lab; however, has a different focus. “In principle, we only need a few warheads if we have many sophisticated radar systems,” he said. Dr. Liu explained that by disrupting, deleting, shuffling, or exchanging genes in different biosynthetic pathways to tailor-make new biosynthetic machinery for the construction of macrolides or other secondary metabolites, researchers can create a library of novel chemical entities. These hybrid compounds with potentially new or improved antibiotic activity will be useful in overcoming the bacteria’s resistance. This technology is known as biosynthetic pathway engineering. 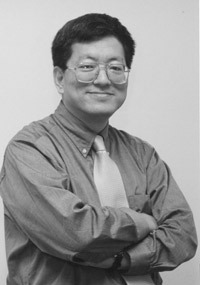 Dr. Liu is a leading figure worldwide in modern biosynthesis and is among the first to perform pioneering work in the area of combinatorial biosynthesis. The bioorganic chemist relocated to UT’s College of Pharmacy in August after serving most recently at the University of Minnesota. His work is supported by grant funding from the National Institutes of Health, and he was the recipient of a National Institute of General Medical Sciences MERIT Award in 1999. At UT Austin, he holds the George H. Hitchings Regents Chair in Drug Design within the Medicinal Chemistry Division. Reprinted cover story from Longhorn Pharmacy Focus.